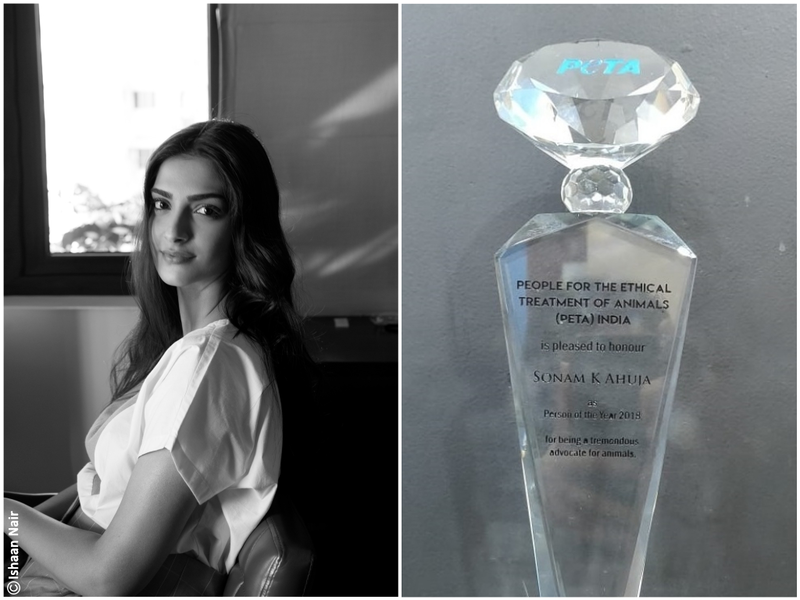 For singing the praises of vegan eating and for keeping animal skins out of her handbag line for Rheson, as well as taking many other actions for animal safety, actor Sonam Kapoor has been named People for the Ethical Treatment of Animals (PETA) India’s Person of the Year for 2018. Sonam Kapoor was named PETA India’s Hottest Vegetarian Celebrity in 2016 and earned a Compassionate Business Award from the group a year later for her cruelty-free handbag line, Rheson. Her past animal advocacy efforts include urging the Minister of Environment, Forest and Climate Change not to revoke the ban on classroom dissection for university life science and zoology students; calling for a Maharashtra state-wide ban on glass-coated manja that can entangle and kill birds; and donating “kind kites” to children to help prevent injuries from manja. In addition, she frequently speaks out for animals on social media, from supporting PETA India’s “Adopt – Don’t Shop” initiative to encouraging people always to be on the lookout for animals in distress. Past recipients of PETA India’s Person of the Year Award include Anushka Sharma, Sunny Leone, Dr Shashi Tharoor, former Supreme Court Justice KS Panicker Radhakrishnan, and actors Kapil Sharma, Hema Malini, R Madhavan, and Jacqueline Fernandez.